The GET has a mix of towns which are a ways off-trail and towns which the GET goes right through. In general, resupply options are pretty well spaced so that there aren’t any really long carries. We had planned for relatively low average daily miles for this trail. We knew that it was going to be challenging and that we could be slowed down due to route-finding issues. 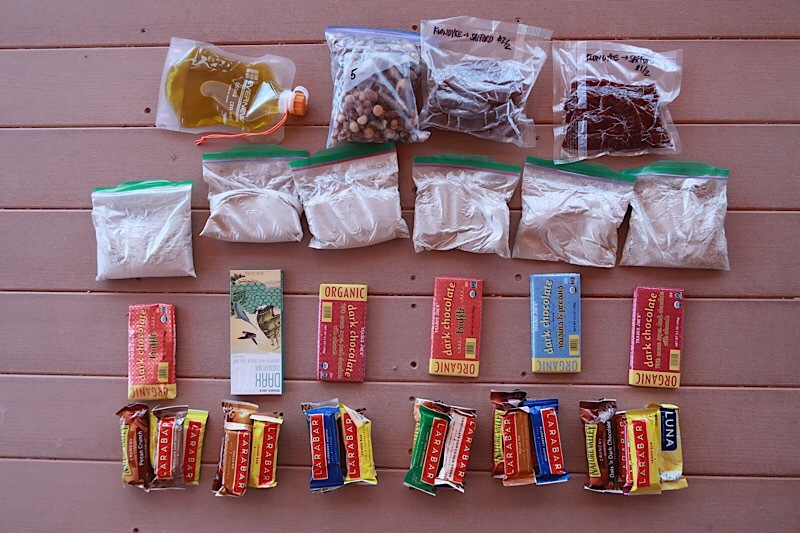 So, even though we had many 5-day carries with this resupply plan, other hikers could turn the stretches into 4-day carries…it all depends on personal preference. In fact, several of our 5 carry plans ended up being 4 days plus a morning. We prefer to prepare our food ahead of time and just mail out resupply boxes. Since we were driving from WI to AZ to start the trail, we decided to just drop off as many boxes as we could instead of sending them out. We tried to chose motels as our drop-off locations, since it removes any concern about arriving when they are closed. We ended up sending only one box to a post office (Winston) and there was no problem with picking it up during their business hours. The trail mile listed for each resupply town is the trail mile for our hike. 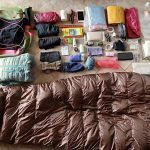 Since there are multiple alternates available on the GET, each hiker’s mileage may vary, but this will give you a general idea. Superior (Mile 48 Eastbound): It was our second time going through this possible town resupply point, and once again we didn’t go into Superior. Since we have friends who live near this area, they picked us up and we stayed at their house. 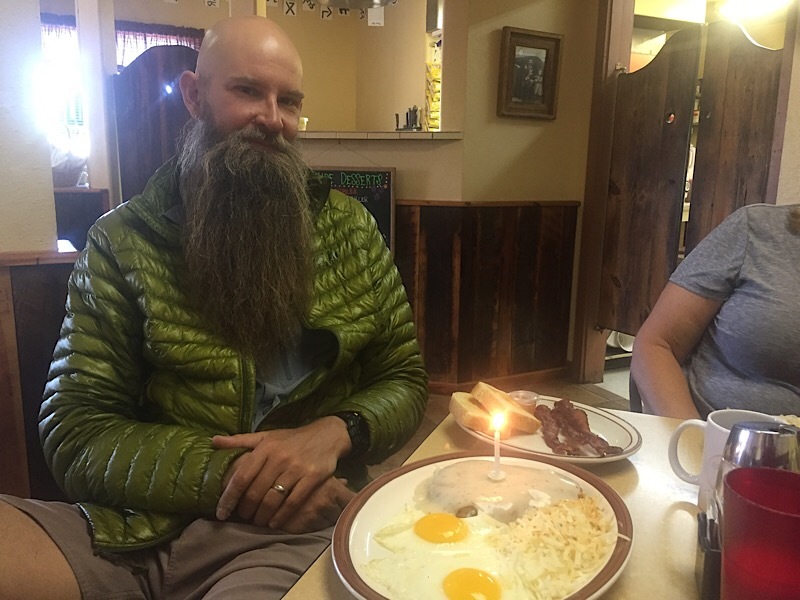 We did hear that several businesses in Superior have really ramped up their game in terms of catering to hikers (since the AZT hiker numbers have been growing over the past few years). The grocery store in town has even created a “hiker food” section of the store. We believe that the store and/or the motel in town help with rides to/from the trail. Klondyke (Mile 153 Eastbound): For us, we decided that this was a “must do” since we didn’t want to have an 8-day carry into Safford. Klondyke is about 2.5 miles off of the main GET route along a very quiet dirt road. There are no services in Klondyke, so if you want to resupply here, you need to mail a package (or drop it off, like we did). It gets delivered to an old freezer behind the now-closed general store in town. There is a BLM Ranger office next door to the old store, where you can charge up electronics on their covered porch. There was also a hose there where we filled up our water bottles, instead of walking the .8 miles to the BLM campground. Safford (Mile 254 Eastbound): This was the biggest town that we went through on the trail. You walk right through the town on the GET, so it is pretty convenient to stop at a motel, or at least buy some food (there is a Walmart and Safeway – both close to the actual route). We bought food for the next stretch in town, instead of sending a box. The restaurant options are fairly limited to fast food and Chinese buffets (the Chinese buffet in the parking lot of the Best Western is one to avoid). We noticed that the Motel 6 had just changed locations in town and is now located near McDonalds (instead of on the outskirts of town, as it appears on Brett’s town maps). We stayed at the Best Western and liked the motel a lot. It is a bit more expensive, but has a great breakfast, a computer for guests, and on-site laundry. Morenci (Mile 292 Eastbound): This one can be a bit tricky for folks, since there are two places on the trail from which to hitch. The recommended hitching spot includes a 7 mile dirt road walk on a very windy road…both end up on the same state highway, but supposedly there is more traffic at the spot where the road walk comes out. We opted for this road walk, since we weren’t sure if there was enough traffic at the other spot to be able to hitch. We lucked out and got a hitch for the 7 mile road walk, so we didn’t have to walk it at all. The two other hikers we met both hitched from the second road crossing (the one with supposedly less traffic) and both got rides. Getting back to trail can be the real trick. Luckily, there are two folks in town who are Trail Angels and are willing to give rides back to trail…(1) Holly at the library (we actually got a ride back with her husband since she was working) (2) Holly’s ex-husband…Both folks are listed in Brett’s town guide. Another hiker we met offered $20 to get back to the trail (after waiting awhile for a hitch) and got a ride that way. Morenci is the perfect trail town (once you get yourself there), because everything is so close together. We went to a cafe for breakfast, to the grocery store to buy our food for the next stretch, and went to the library to find Holly…all without crossing one street, or even leaving the same plaza! The grocery store is a Basha’s and the selection was totally sufficient for a full resupply. Alma/Glenwood (Mile 364 Eastbound): This was a nice spot for a town break, but be aware that Glenwood doesn’t always have restaurant options open every night. We stayed at the Whitewater Motel (and dropped off a package there) and really enjoyed our stay. 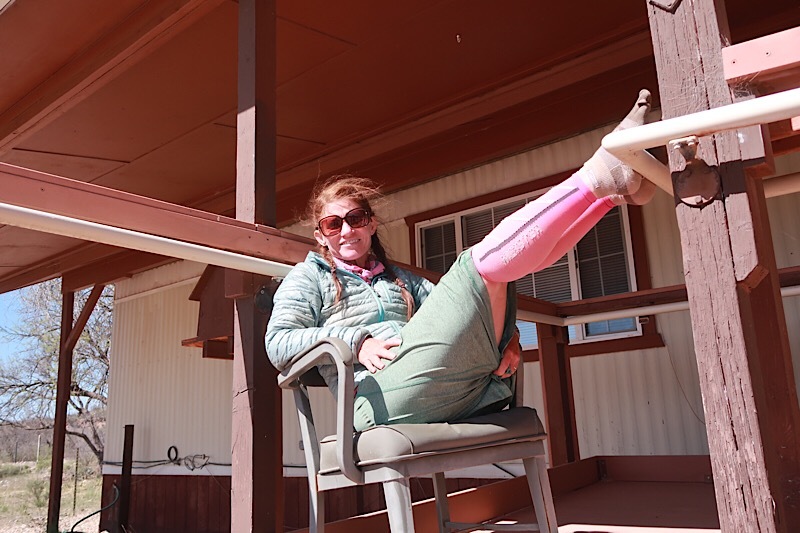 The owner, Maryanne, is willing to pick up hikers from Alma if you just give her a call…you can also ask her if there are any restaurants open in Glenwood that day and you can buy food in Alma accordingly. The Alma Grill was great (when we went through it was closed on Thursdays) and you could possibly cobble together a resupply at the Alma Store, but it would probably be expensive and limited. Just an FYI that as you get into rural NM the internet becomes pretty bad…this stop is the beginning of it. Gila Hot Springs (Mile 425 Eastbound): This is the one town stop which overlaps with the CDT, so you might actually see other hikers! The trail actually pops you out in the parking lot for the Gila Cliff Dwellings, which we would totally recommend checking out. The tiny “town” of Gila Hot Springs is about 3 miles off the GET, walking on a quiet paved road. The only thing in town is really just Doc Campbell’s Post and this seems to be the hangout spot for hikers. The store was sold at the end of 2017 and the new owners are really hiker friendly (we have heard stories of the old owners not being too into hikers). We sent a package there (Doc Campbell’s charges a $3 per package fee as of 2018) which we would recommend. 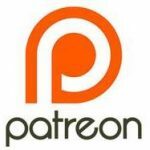 Trying to resupply there is probably possible, but would be expensive and somewhat limited – though we expect the new owner to continue to improve the hiker food options over time. We stayed in a “suite” in the red building across the street from Doc Campbell’s which worked good. 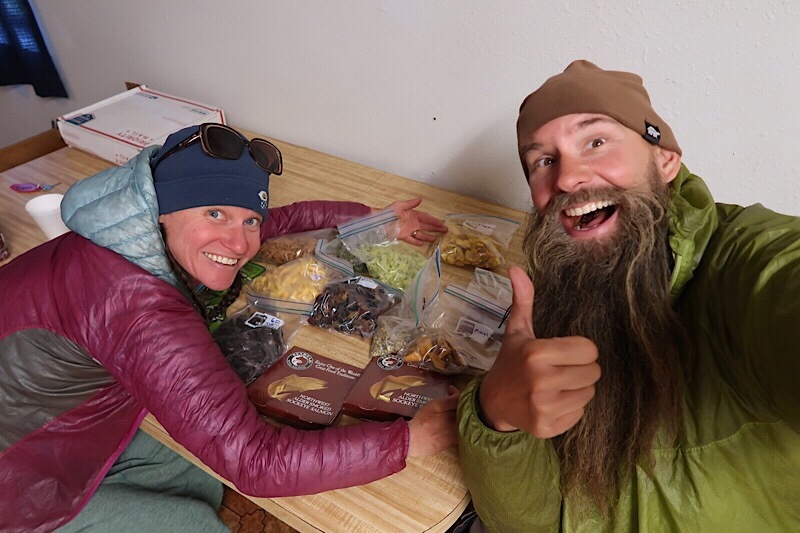 There isn’t much to eat there except for frozen burritos, but we picked up some Knorr Rice Sides and ramen from the hiker box and cooked them up for dinner in our suite. Doc Campbell’s Post doesn’t open until 10am, so don’t expect to get in too early. 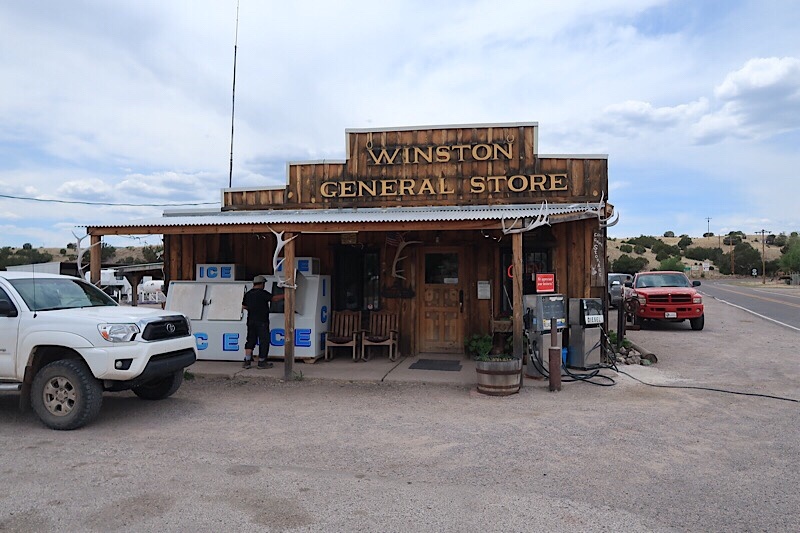 Winston (Mile 516 Eastbound): This town stop was a bit worrying for us, since the hitch is said to be really difficult (18 miles down a very lightly travelled dirt road). However, we didn’t want to have to carry food from Gila Hot Springs all the way to Magdalena. We ended up working it out so we got to the road in the morning in order to have as much time to hitch as possible. Luckily the hitch in and out went really quickly and smoothly. In town the post office is close to the general store (we sent ourselves a package to the post office). The general store has frozen food which can be warmed in the microwave as well as some hot food in crockpots, such as BBQ, hot dogs, and chili. They have showers too if you are interested ($8 if our memories serve us). The folks at the general store are really nice and there are picnic tables outside to relax at. They will also let you charge your electronics inside the store. Resupply would be possible from the general store, but the prices are what you would expect from a small general store. Magdalena (Mile 609 Eastbound): Another town that the GET goes right through! We stayed at the High Country Lodge (and had dropped off a package there before the starting the trail) which was just ok. The rooms were really small and outdated, but surely we have stayed at worse motels over the years (think WhiteWolf in Strafford, ME on the AT). The only resupply option in town is the Family Dollar. It would probably be easy to resupply there, but just don’t expect high quality or nutrition. The Family Dollar is just a block or two off the trail, so it is super convenient. As far as restaurants in town…the Magdalena Cafe and Kelly’s Cafe (at the Hall Hotel) were both really great. The library has good WiFi (a hard thing to come by in rural NM), which is usable even when the library is closed. Mountainair (Mile 679 Eastbound): We had dropped a package off at The Rock Motel before starting the trail. Luckily we arrived in town (about 18 miles off the trail on a highly traveled state highway) early and checked in at the motel. There seems to be a lot of temporary workers in town (not sure if there is some kind of infrastructure project going on) and they tend to take all the rooms, so it is good to get in touch with the motel several days in advance if possible, or as soon as you get into town if you don’t have phone service. There is a Family Dollar in town for resupply, and also a small grocery/deli store, but honestly, it would probably be easier to resupply at the Family Dollar. We ate at the deli which was fine. We heard good things about the Alpine Alley, but didn’t eat there ourselves. Getting back to the trail was easy for us, as The Rock Motel managers are happy to give hikers a ride back to the trail. We also heard that the Turner RV Park (they may have rooms too, may be able to give a ride back to the trail). There were other resupply options which we didn’t use, but we have a few tidbits/thoughts we can share about them. Kearny (Mile 79 Eastbound): The Old Time Pizza restaurant will delivery pizza to the trailhead and it is possible that you might be able to get a lift from the delivery driver back into town. Even though we have gone through this section twice, we still haven’t gotten pizza delivered to the trail…disgraceful! 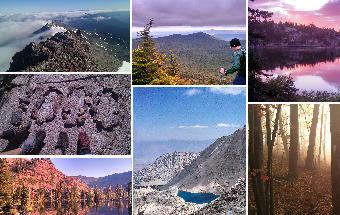 Mammoth (Mile 123 Eastbound): A lot of hikers go into Mammoth, but we didn’t. Sorry we don’t have any info. But, shortly after the road to Mammoth is the Central Arizona College which has a cafe (Hours Monday-Thursday 10am-2pm according to their website). You can also charge your electronics at the cafe, or using outlets on the exterior of the building near the restrooms. Monticello (Mile 523 Eastbound): This is the recommended town stop in the town guide (there is only a post office there), but honestly we would do Winston again. The distance into Monticello is slightly shorter (maybe 4-5 miles less), but your chances of getting a hitch out or back are pretty small. The “road” that goes to Monticello is not one that seems to get much traffic (meaning maybe a car every few days?). Polvadera (Mile 625 Eastbound): We didn’t bother with this town (there is only a post office here), since it is just a short distance beyond Magdalena. However, we met a hiker who got off at this road crossing and hitched (there are also taxis that can be called) into Socorro which is just a few miles past Polvadera and is a pretty big town with good resupply options. Tijeras (Mile 765 Eastbound): While we did stop in to the Subway, we didn’t bother with a resupply package, since after Tijeras there is only 24 miles of trail left…and that is if you walk down from the peak instead of taking the tram. As an FYI, when we got to Tijeras, it was raining so we called the Cedar Crest Inn and Hostel and the owner was happy to come pick us up and drop us back at the trail the next morning.